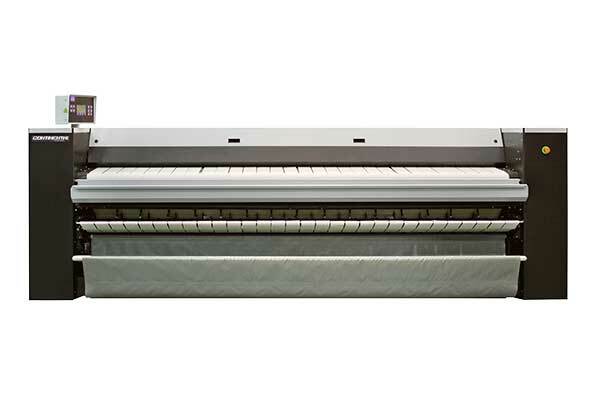 Express Heated-Roll Ironers offer no-wax finishing for significantly simplified maintenance and an unrivaled finish. Express Ironers are durably built and backed by a 7/5/3 ContinentalCare warranty. The Compact 5-in-One automatically and quickly feeds, irons, folds, stacks and accumulates. It does all this from a small footprint at processing speeds reaching 50 feet-per-minute. Engineered to boost productivity at medium- and high-volume laundries where space is tight, it features a touch-screen control with 20 pre-set and 20 customizable. It is configurable for one, two, or four working lanes, with one lane for sheets, two lanes for table linens and four lanes for small items. 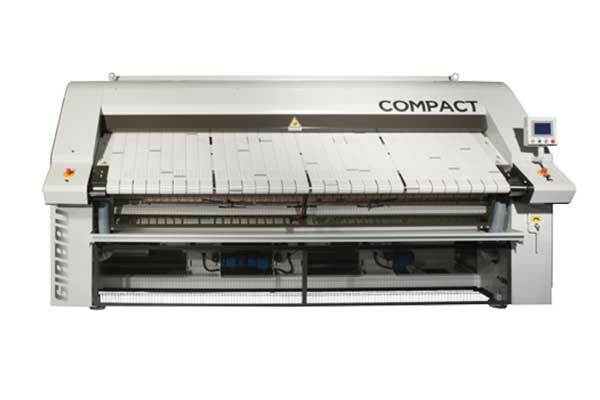 The Compact 5-in-One also provides standard, four-lane accumulator options and single- or two-lane cross-folds using air jets, reversing conveyors and knife blade assistance, as well as stacking. The Compact 5-in-One offers multiple options to meet specific ironing and folding needs. It is available in natural gas or liquid propane (LP) heat and is backed by a 7/5/3 ContinentalCare warranty.